When do you remember having last seen an ox-cart or even a horse and buggy vehicle? Tractors and cars have pushed them aside and with them the trade of the saddler. On the other hand more people are nowerdays interested in sport riding and that has helped the trade to even thrive a little again. That, however, does not change the fact that many traditional techniques which were passed on over generations are no longer needed. 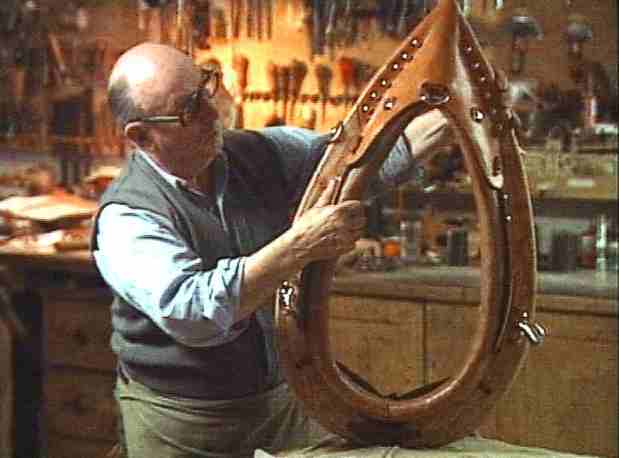 The master saddler Adolf Weiss, 71 years of age, from Engelthal in Franconia makes a working horse harness one more time.